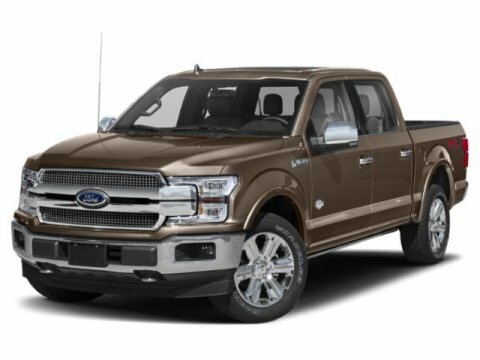 Find a great sale price on this 2018 Ford F-150 XLT at Value Ford in Elma Washington. This 2018 Ford F-150 XLT is located at our Ford dealership in Elma. We also serve the cities of Aberdeen, Montesano, Tumwater, Hoquiam and Olympia. 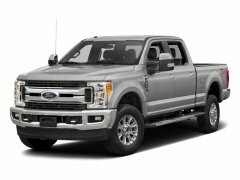 So if you're looking for a great price on this 2018 Ford F-150 XLT or just looking to get an auto loan for the vehicle you want... you've come to the right place! Value Ford. Listed sales prices include all standard Factory to consumer rebates such as: Retail Customer Cash, Special Customer Cash, Bonus Cash, Ford Credit Bonus Cash (Must finance through Ford Motor Credit to receive, on approved credit), Trade-In Assistance Cash and Other Bonus Cash. Other rebates may be applicable such as: College Grad Cash, Lease Conquest Cash, etc. See Dealer for complete details and qualifications. Not all customers will qualify for Ford Motor Credit financing. Heated Seats, 110V/400W OUTLET, ENGINE: 5.0L V8, LED BOX LIGHTING, XLT CHROME APPEARANCE PACKAGE, 4x4, Back-Up Camera. XLT trim, Oxford White exterior and Medium Earth Gray interior. FUEL EFFICIENT 22 MPG Hwy/16 MPG City! CLICK NOW! KEY FEATURES INCLUDE 4x4, Back-Up Camera Keyless Entry, Child Safety Locks, Electronic Stability Control, Brake Assist, 4-Wheel ABS. 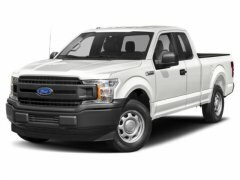 OPTION PACKAGES EQUIPMENT GROUP 302A LUXURY 4.2" Productivity Screen in Instrument Cluster, Reverse Sensing System, Class IV Trailer Hitch Receiver, towing capability up to 5,000 lbs, on 3.3L V6 PFDI engine (99B) and 2.7L EcoBoost engine (99P) or up to 7,000 lbs, on 3.5L EcoBoost engine (99G) and 5.0L V8 engine (995), smart trailer tow connector and 4-pin/7-pin wiring harness, Rear Window Defroster, XLT Chrome Appearance Package, 2 chrome front tow hooks, Tires: P275/65R18 OWL A/S, Chrome Step Bars, 2-Bar Style Grille w/Chrome 2 Minor Bars, silver painted surround and black background mesh, Chrome Door & Tailgate Handles w/Body-Color Bezel, bezel on side doors and black on tailgate, Wheels: 18" Chrome-Like PVD, Single-Tip Chrome Exhaust, Rear Under-Seat Storage, SYNC 3, enhanced voice recognition, XLT CHROME APPEARANCE PACKAGE 2 chrome front tow hooks, Tires: P275/65R18 OWL A/S, Chrome Step Bars, 2-Bar Style Grille w/Chrome 2 Minor Bars, silver painted surround and black background mesh, Chrome Door & Tailgate Handles w/Body-Color Bezel, bezel on side doors and black on tailgate, Wheels: 18" Chrome-Like PVD, Single-Tip Chrome Exhaust, WHEELS: 20" CHROME-LIKE PVD, TRAILER TOW PACKAGE Towing capability up to 11,100 lbs, Class IV Trailer Hitch Receiver, towing capability up to 5,000 lbs BUY FROM AN AWARD WINNING DEALER Spring Clearance Sale On Now! Call Or Click Today! New-Advertised sale prices are after all factory rebates including retail customer cash, special customer cash, bonus cash, ford credit cash, trade assistance cash, and other bonus cash. Customer may qualify for additional incentives.